What is the God-kind of love like? The God-kind of love is full of kindness and is tenderhearted. Since God’s love is kind and tenderhearted, it is always ready to forgive. Ephesians 4:32 says, “And be ye kind one to another, tenderhearted, FORGIVING ONE ANOTHER, even as God for Christ’s sake hath forgiven you.” Sometimes I think people interpret this verse by saying that we are to forgive people only when they are kind to us. But that’s not what the Bible says. This scripture also doesn’t say, “Forgive one another when the offense doesn’t amount to much. But if people have done a lot against you, then it’s okay to not forgive them.” The verse doesn’t read that way, but too many times that is the way people practice it. Too many Christians allow their flesh to rule them, and then wonder why they aren’t receiving God’s best in their lives. But it’s impossible to walk in the God-kind of love while allowing the flesh to rule. If we’re going to obey the Bible, we have to let the inward man rule us so we can be “kind one to another, tenderhearted, forgiving one another.” It’s only as we “put on” Christ and make no provision for the flesh (Rom. 13:14) that we will be able to forgive one another, even as God for Christ’s sake forgave us. How can we forgive the way God forgives? Well, the Bible says that God is love. And the same kind of love that God is has been shed abroad in our heart, or spirit, by the Holy Spirit (Rom. 5:5). What kind of love is it? Is it natural, human love? No, it is divine love. It is the God-kind of love. And one characteristic of the God-kind of love is that it forgives. Another thing about divine love—when God forgives, He forgets! These scriptures tell us that once we ask forgiveness, God doesn’t remember our sins anymore. God doesn’t say, “I’m going to hold against you everything you’ve ever done, and I’m going to remind you of your sins every time I think of them.” Thank God, this verse says that when we ask forgiveness, God will remember our sins no more! Sometimes husbands and wives can be prone to remind each other of past mistakes every time a disagreement arises. There’s no way they can develop a good relationship if they keep doing that. Also, if spouses constantly remind each other of past mistakes and failures, it will ruin their prayer lives and will make their faith inoperative. 7 Likewise, ye husbands, dwell with them according to knowledge, giving honour unto the wife, as unto the weaker vessel, and as being heirs together of the grace of life; THAT YOUR PRAYERS BE NOT HINDERED. If husbands and wives hold unforgiveness and ill will against each other, it can affect their health, and their prayers will be hindered. Their faith won’t work. You want your prayers to be unhindered, don’t you? Then walk in love and forgiveness. Learn to forgive and forget like God does. You see, if you really love people and forgive them, you will not keep reminding them of their past mistakes, sins, and failures. You will not keep reminding them about the way they hurt you, let you down, or offended you. Now the devil may bring a picture to your mind of something that happened between you and another person. But you don’t have to entertain the devil’s thoughts. You can go on your way and walk in forgiveness, knowing that the Lord has forgiven you of your sin, failures, and shortcomings, and that you have forgiven the other person. Some people say, “Well, I just can’t forgive.” But that doesn’t line up with the Scriptures, because if you are born again, the God-kind of love has been shed abroad in your heart. Other people say, “Well, I can’t forgive the way God does because I’m not God.” Of course, you’re not God! But, you see, God forgives because He is love (1 John 4:8). And the same kind of love that God is dwells in you. Therefore, you can forgive with His love, just as God does. Because the love of God has been shed abroad in our heart by the Holy Ghost, that means that God even furnishes the love for you and me to forgive with! But too many believers make the mistake of going by their head instead of their heart. So divine love not only forgives, it forgets! That’s the way God wants us to forgive too. And we can forgive and forget because God has already furnished His love in our heart, enabling us to forgive. Therefore, there’s no excuse for failure in our ability to forgive. Colossians 3:13 says, “Forbearing one another, and FORGIVING ONE ANOTHER, if any man have a quarrel against any: EVEN AS CHRIST FORGAVE YOU, SO ALSO DO YE.” You see, when we walk in the light of the Word, we can enjoy all the benefits thereof. But to walk in the light of the Word, we have to walk in love and forgiveness. There is something else we need to see about how love and forgiveness work together regarding answered prayer. Unforgiveness—the lack of forgiveness—is one hindrance to prayer that Jesus Himself mentioned. A lot of times, people take these verses out of context and make them say something they don’t say. Then, they try to make them work, anyway. But, you see, there are some conditions involved in getting Mark 11:23 and 24 to work. Did you ever notice that many of the promises of God are conditional? You see, the blessings of God don’t just fall on us like ripe cherries off a tree. You have your part to play—you have some responsibility in the matter. When Jesus tells us in Mark 11:23 and 24 that we can have what we say, we all rejoice and are thrilled with His words. And we should be. But that is not all Jesus said about answered prayer. Mark 11:23 and 24 do not present the whole story on the subject of faith. For example, in Galatians 5:6, the Bible has something else to say about faith. It says that faith only works by love. So you won’t be able to get your faith to work for you if you’re not walking in love and forgiveness. I don’t care how many biblical confessions you make or how scriptural they are—your faith won’t work without the God-kind of love. You can make all the confessions you want, but they won’t work for you unless you forgive. You can get up every morning and go through your list, take time out at noon to make faith confessions, and even get up in the middle of the night and repeat the same confessions—and your faith still won’t work for you unless you’re walking in love. You could make your faith confessions like that for a hundred years, but your faith simply will not work in an atmosphere of unforgiveness. You see, believing you have your petition and confessing your faith with your mouth is only part of effective faith and receiving answers to prayer. In fact, Mark 11:23 and 24 won’t work without Mark 11:25: “And when ye stand praying, FORGIVE. . . .” Why won’t verses 23 and 24 work without verse 25? Because faith won’t work without love, and love forgives. Notice that verse 25 begins with the word “and.” The word “and” is a conjunction. It joins what Jesus just finished saying to what He’s about to say. Notice what Jesus had just said in Mark 11:24: “Therefore I say unto you, What things soever ye desire, when YE PRAY. . . .” Jesus was talking about prayer. And He was still talking about how to make your faith effectual in verse 25 when He said, “When you stand praying, if you have anything against anyone, forgive.” When you pray—forgive! Why did Jesus say that? Because Jesus knew that if we have an air of unforgiveness about us, our prayers won’t be effectual. 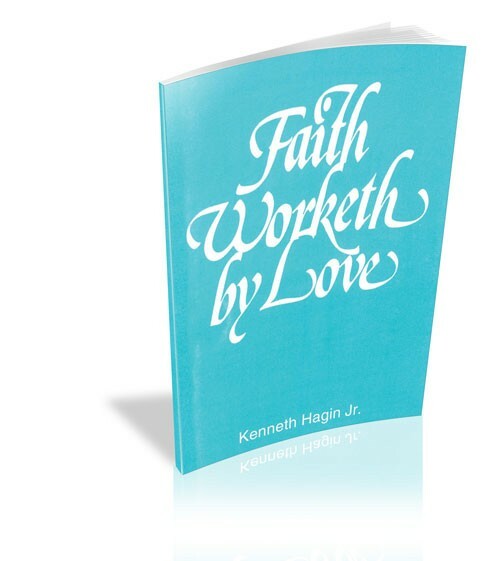 Faith only works by love (Gal. 5:6). Now if Jesus had just said, “When you stand praying, you’ll have your petition,” we’d all have it made. But He didn’t stop there. He said that when we stand praying, we have to do something. What do we have to do? Forgive! If we have aught (or anything) against anyone, we have to forgive. This great truth bears repeating: Prayer and faith won’t work when there is an air of unforgiveness about you! And unforgiveness is what has so many people stymied in their faith and prayer life. Whether you realize it or not, a lack of compassion and an unwillingness to forgive others are the things that hinder us from receiving from God and from growing spiritually. Unforgiveness will hinder us from being what God wants us to be and from being who God wants us to be. In Mark 11:25, Jesus said, “When you stand praying, forgive if ye have aught against anyone.” The word “aught” means any kind of grudge or ill will or wrong feeling about anyone at all. That means a little grudge, a middle-sized grudge, or a big grudge—anything at all against another person. God’s Word works, but you have to be a doer of God’s Word before it will work for you. Part of being a doer of God’s Word is to forgive others and to forgive yourself too. It’s believing, acting on, and confessing God’s Word that makes it work for you. You can’t act on the Word and be a doer of God’s Word if you aren’t willing to forgive. It’s absolutely impossible. So learn to forgive so you can receive God’s best in life. Practice what Paul did. Forget those things which are behind and “press toward the mark for the prize of the high calling of God in Christ Jesus” (Phil. 3:14). This popular minibook takes an innovative look at the subject of unanswered prayer.